(1) Convert the solar energy into DC electricity in the sunlight. Can charge small Digital devices such as the mobile phones,Mp3.etc.. It is a must for businessman,outdoor sports fan,travellers etc. 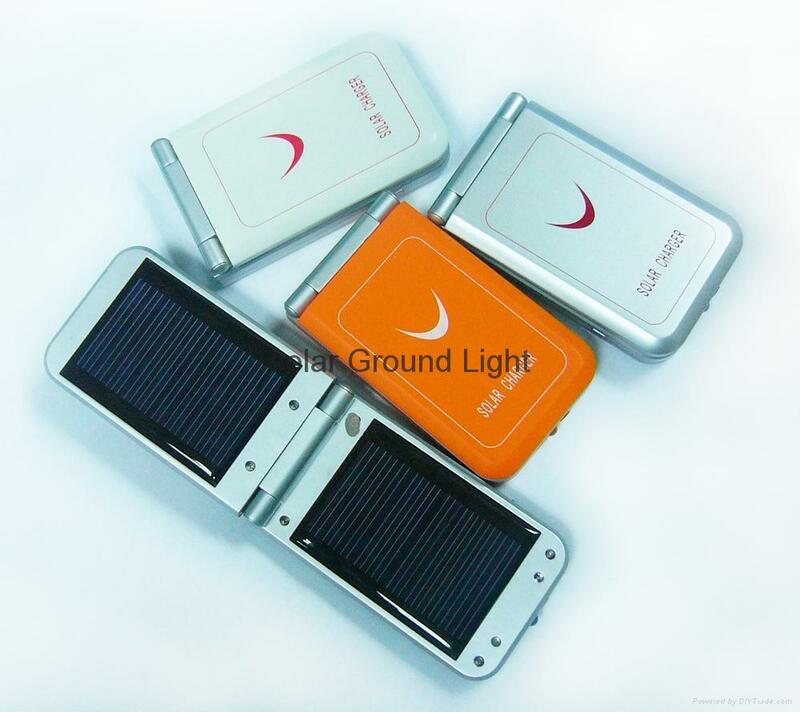 (2)with build-in lithium battery and high efficiency solar panel. You can choose to recharge the in-built lithium battery with AC commercial power for emergency use when there is short of electricity..
(3) When it is being recharged, seven-color LED indicator will light up. (7) It can be used as a LED flashlight. 4、Universal USB port suitable for most of mobile phone chargers. 1-2 hours for fully recharge the in-built lithium battery with AC commercial power.